22 เม.ย. 62 07:39 น.
Sprays-on , Immersion , Brush-on breakthrough in the nonhazardous removal of unwanted rust. 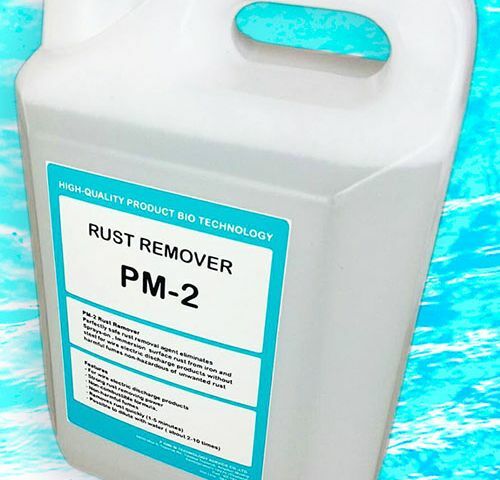 Rust Remover eliminates surface rust from iron and steel without harmful It will not harm copper,brass,plastic,rubber or is also safe to use on painted surfaces for removal of 'bleeding'rust. Head Office : p and m technology service Co,Ltd. ประกาศเมื่อ : 12 ธ.ค. 57 12:04 น. อัพเดตล่าสุด : 22 เม.ย. 62 07:39 น.